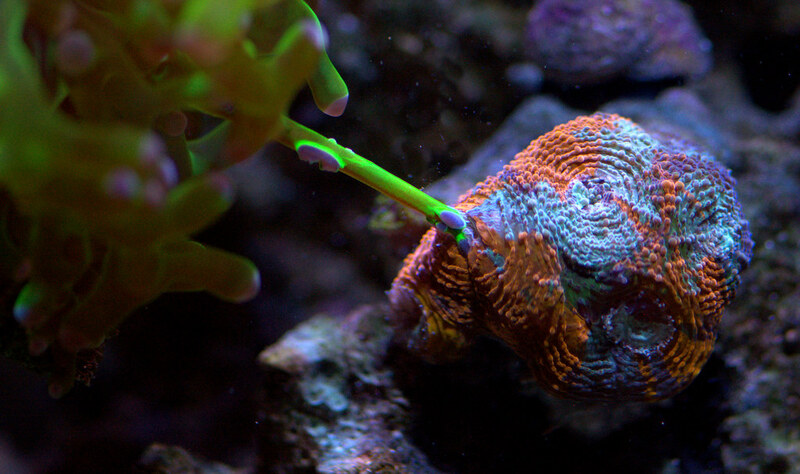 Hello, I recently took some cool pics of a tussle between my frogspawn and acan. The frog lost. A good reminder to keep acan e. far away from anything else. 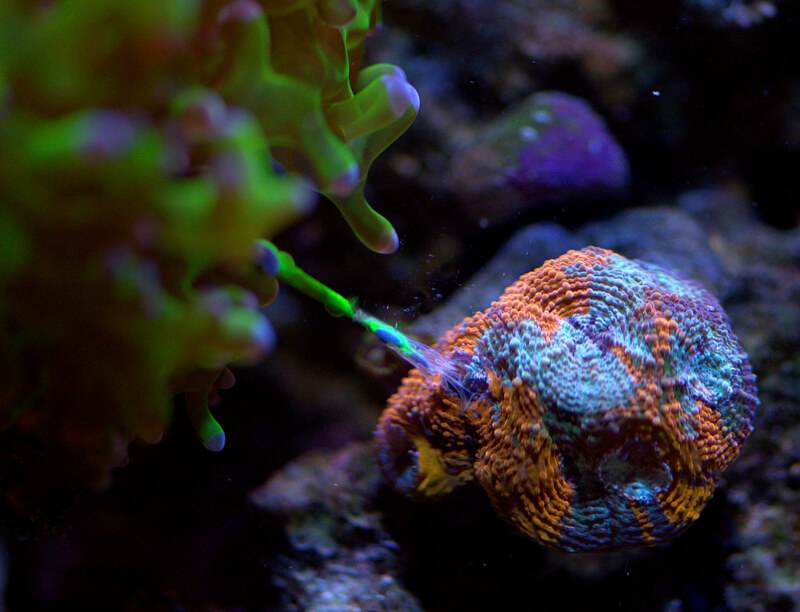 The frog just barely brushed a tentacle of the acan during feeding time, and the acan took over from there.